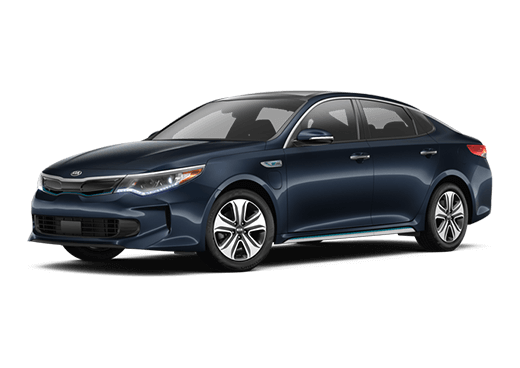 Building upon the innovations of the Kia Optima Hybrid and refining them further, the Kia Optima Plug-In Hybrid takes electric running to the next level, moving beyond simple hybrid running with the capability to go fully electric. 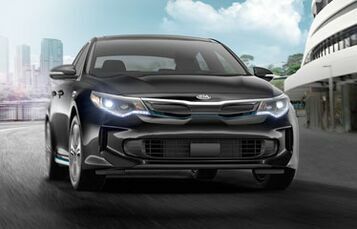 Combining a permanent magnet synchronous electric motor and a Gasoline Direction Injection engine, the Kia Optima Plug-In Hybrid maximizes fuel economy for an EPA-estimated 103 MPGe and a driving range of 0-29 miles for gas-free commuting. The re-engineered high-density lithium polymer battery can be recharged from the comfort of home with Level 1 120V charging or at one of more than 45,000 public fast charger outlets with Level 2 240V charging. Thanks to regenerative braking technology, kinetic energy is reclaimed during deceleration to recharge the motor’s battery, and the Active Air flap system redirects airflow for aerodynamic optimization that boosts efficiency and improves performance simultaneously. 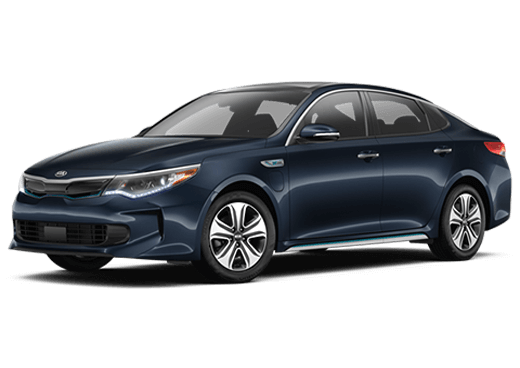 Pulled together by a sleek, enticingly designed exterior that voices an essential elegance, the Kia Optima Plug-In Hybrid is a smarter, more intelligent Optima conceived for a smarter and more intelligent lifestyle. 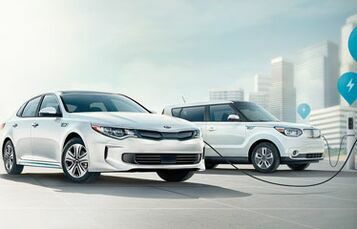 As both a hybrid and an electric vehicle, the Kia Optima Plug-In Hybrid is eligible for Clean Air Vehicle and High-Occupancy Vehicle decals in select states, granting exclusive access to restricted lanes during peak travel times, and electric vehicle incentives in certain states such as financial rebates make embracing the future more affordable than ever. 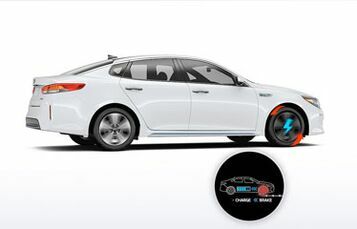 Combining aerodynamic design with a clean, electric aesthetic, the Kia Optima Plug-In Hybrid attracts attention from any angle. Smooth exterior lines fuse with unique detailing for a sport-inspired style, and practical design elements such as an active air-flap minimize wind resistance and reduce drag for improved overall efficiency. Manage and control your Kia Opima Plug-In Hybrid from almost anywhere thanks to Kia UVO eServices. Start or stop charging the vehicle’s battery, control the temperature and lock or unlock the doors, all remotely from the comfort of your compatible smartphone. And when it’s time to hit the road, enjoy easier navigation thanks to location saving, parking reminders and roadside assistance from the palm of your hand.